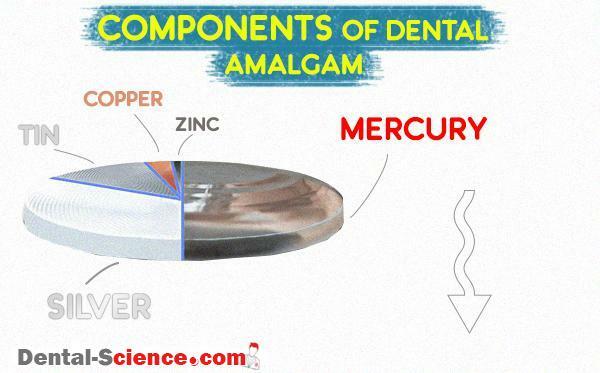 Amalgam is a metal alloy of which one of the elements is mercury (Hg). Alloys are metals that are a combination of several elements. Dental amalgam is made by mixing approximately equal parts (by weight) of a powdered metal alloy with liquid mercury. The powdered metal is called an amalgam alloy and is predominantly silver (Ag) and tin (Sn). The mixing process of the alloy with the liquid mercury is called amalgamation or trituration. Important! Is dental amalgam a good choice for YOU? It is important to note that the term “amalgam alloy” does not mean the same thing as “dental amalgam.” Amalgam alloy is the silver–tin (Ag–Sn) powdered metal before it is mixed with mercury. Dental amalgam is the result of mixing the powdered metal with mercury and is used to restore teeth. Mercury toxicity is a concern in dentistry because mercury and its chemical compounds are toxic to the kidneys and the central nervous system. Proper handling of mercury will prevent harm to office staff. The most significant danger is from mercury vapor. Mercury has a high vapor pressure and evaporates at room temperature. The lungs absorb most of the mercury vapor in air when inhaled. Poor mercury hygiene will subject office staff to unnecessary risk. It is important that the ADA recommendations for mercury hygiene are followed. These recommendations include proper handling and storage along with prompt cleaning of all mercury spills. Mercury toxicity is not a problem for patients. Numerous government and nongovernment scientific panels have rebuffed claims of mercury toxicity in patients. The only exception is patients who are truly allergic to mercury. Very few cases (<0.1% of patients) of mercury allergy have been reported in the scientific literature. Dentists who urge patients to replace amalgam restorations to cure medical problems are not practicing ethical dentistry. Several such dentists have lost their licenses. Mercury in the environment is an important problem. The role that dentistry plays in mercury contamination is under investigation. Significant mercury contamination problems are from industrial sources, however, and not from dentistry. Because of its toughness and wear resistance, amalgam is a long-lasting, cost-effective restorative material. 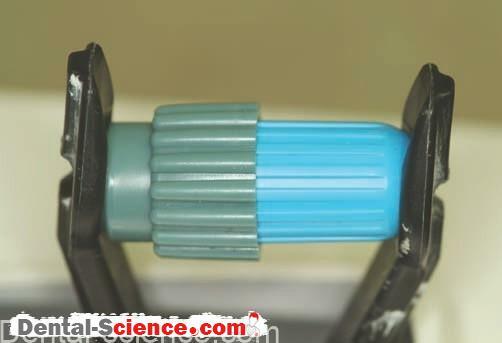 In addition, amalgam has the ability to seal its margins during service. As the margins corrode, the tooth/restoration interface fills with corrosion products so that microleakage is reduced. Often, margins of a dental amalgam may look broken down but are actually well sealed just below the surface. Clinical research has shown that marginal integrity of dental amalgams is a poor predictor of recurrent decay. Amalgam is the least technique-sensitive permanent restorative material that is available to the dentist. In addition, it is the only material that might work when placed in a wet, contaminated environment. restorative material, is indirectly related to the size of the restoration. As the restoration increases in size, the stress within the restoration also increases, and the life expectancy of the restoration decreases. Based on clinical research, the life expectancy for a conservative Class I amalgam is 15 to 18 years. A Class II amalgam should last 12 to 15 years. It is important to remember that the patient has a great deal of influence on the longevity of restoration. The patient’s diet and oral hygiene practices are very important and can contribute to a longer life expectancy of their restorations. Several physical properties of amalgam hold particular interest for the clinician. Proper handling of the material is required for optimum results. Minimal change in dimension after condensation is important. Excessive contraction leads to leakage and postoperative sensitivity. Excessive expansion can also cause postoperative sensitivity. Dimensional change is affected by many factors, such as the mercury/alloy ratio as well as trituration and condensation techniques. The best results are obtained by following the manufacturer’s recommendations. Amalgam restorations must resist the biting forces of occlusion. At one time, it was thought that the 1-hour compressive strength of amalgam was an important property, and this strength was incorporated into the specification. Strength at 24 hours is greater for all types of amalgams, and strength differences between the types of amalgams are much less after 24 hours. Again, the strength of the amalgam depends on the phases that are present. Having more of the stronger phases results in a stronger material. Dental amalgam has a high compressive strength, but the tensile and shear strengths are comparatively low. Therefore, amalgam should be supported by tooth structure for clinical success in the long term, which is approximately 10 to 20 years. Also, amalgam needs sufficient bulk. A thickness of 1.5 mm or more is needed to withstand occlusal forces. Creep is a slow change in shape caused by compression. Creep of dental amalgam specimens is a common test and is included in the amalgam specification. It was once thought that creep provided a good indicator of clinical performance. Supposedly, amalgam could be pushed by adjacent and opposing teeth to cause open, chipped, and overhanging margins. Recurrent decay would then result. However, when high-copper amalgams were developed, creep became less of a predictor of clinical success. Remember, because the γ2 phase has been eliminated in high-copper amalgams, the phase that is most susceptible to creep is no longer present. Dental amalgam galvanically corrodes in much the same way that iron rusts. Galvanic corrosion occurs when two dissimilar metals exist in a wet environment. An electrical current flows between the two metals, and corrosion (oxidation) of one of the metals occurs. The likelihood of galvanic corrosion increases if two metallic phases are present in a metal. Dental amalgams always have more than two phases, and they also exist in a corrosive environment, the oral cavity. Therefore, amalgams corrode and, eventually, fail. Corrosion occurs both on the surface and in the interior of the restoration. Surface corrosion discolors an amalgam restoration and may even lead to pitting. Surface corrosion also fills the tooth/amalgam interface with corrosion products, reducing microleakage. Internal corrosion (in the interior of the restoration) is hidden from the clinician. Such corrosion will lead to marginal breakdown and, occasionally, fracture. internal corrosion is beyond the current clinical diagnostic techniques. Instead, alleged recurrent decay is the dominant reason for replacing amalgam restorations. Although the restoration may look unesthetic and the margins may appear to be “ragged,” the amalgam is still sealed at the interface and serves the patient well. An acidic environment promotes galvanic corrosion. Poor oral hygiene and a cariogenic diet will expose both teeth and restorative materials to a destructive environment. The same factors that promote caries will accelerate corrosion. Therefore, patient behavior can affect the longevity of amalgam and other restorations. The working and setting times of dental amalgams are not well-standardized properties. Fast-set and slow-set versions of many brands are sold. The fastest version of a given product will set faster than the regular-set version of that product. However, that same fast-set version may not be faster than the regular-set version of a different product. Personal preference for working and setting times is a very important factor when selecting products for purchase. Amalgam is used to restore many different types of carious lesions and tooth fractures. Again, amalgam is a very cost-effective restorative material and is used to restore Class I, II, V and VI carious lesions. At times, amalgam is used for small cingulum pits in the lingual of anterior teeth. Amalgam is also used as a foundation for a future crown to restore a severely decayed tooth. when it is initially placed. Such a large amalgam restoration may function adequately for 5 to 6 years, but not nearly as long as it would function when also restored with a crown (15–20 years). For many years, amalgam has been used with a cavity varnish. The most common is copal varnish. Copal varnish is a resin dissolved in a solvent. Varnish is painted on the cavity preparation, much like varnish is painted on woodwork in a house. The amalgam is then condensed and carved. The intent is to reduce initial leakage by sealing the margins before corrosion products form. Postoperative sensitivity is supposedly reduced, along with the amalgam’s tendency to discolor adjacent tooth structure. Today, cavity varnish is being replaced by a variety of materials. Dental bonding systems have been developed to bond amalgam to tooth structure. At this time, however, the reduction of postoperative sensitivity or increased clinical life expectancy of “bonded” amalgam restorations has not been demonstrated by clinical research. It is recommended that dentists use only ADA accepted, high-copper alloys. If not using a pre-capsulated product, use only ADA-accepted mercury. Many outstanding products are on the market. These products have differences in particle shape, rate of set, and other factors that affect the “feel” of these materials. One must choose an alloy based on personal preference, but the product should have independent clinical research data available that details its clinical life expectancy. Some products are definitely better than others. As with any dental material, the quality of an amalgam restoration is reduced if it is placed in a wet or contaminated preparation. Zinc-containing amalgams are more affected than non-zinc materials by moisture. Zinc reacts with water to produce hydrogen gas. The hydrogen gas causes the amalgam restoration to expand, seeming to push it out of the preparation. Increased corrosion and reduced clinical longevity result. Amalgam should not be handled with bare hands because even the moisture from one’s skin can cause problems. Current standard precautions, when mixing and placing amalgam make this a moot point. The relative value of polishing amalgam restorations has been debated. It is common for the first few amalgams placed by a dental student or auxiliary to need finishing and polishing at a second appointment. In addition, an amalgam (placed by another dentist) may need to be re-contoured or smoothed on occasion due to chipping or corrosion. 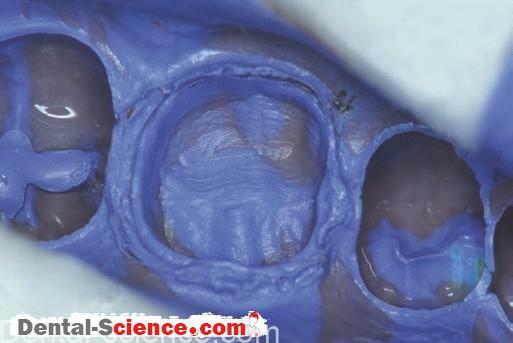 It is important for the dentist to re-contour any amalgam needing such care regardless of when or where it was placed. Providing such treatment is considered to be quality patient care. of corrosion and the ability of plaque to adhere to the surface. allow the amalgam to set and become hard enough to withstand the polishing procedure. Spherical amalgams set much faster; some can be polished 20 minutes after being placed. Appropriate finishing and polishing of amalgam restorations improve their appearance. Amalgam usually presented in a capsule form and dentist place it at a mechanical device called an amalgamator or triturator “shakes” the capsule containing the alloy powder and mercury at high speed, mixing the two components into a plastic mass. The triturated material is reacting or setting while it is forced, or condensed, into the cavity preparation. The cavity preparation is always overfilled with amalgam. 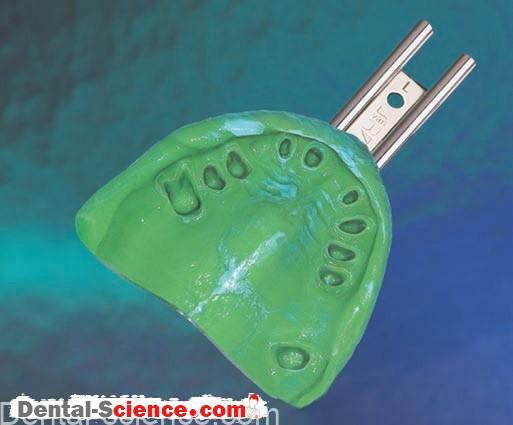 The excess is then removed (carved) to restore the original anatomy of the tooth. The setting reaction of amalgam starts during trituration and progresses while condensation and carving take place. The working time of amalgam (the time that is needed to condense and carve) is not directly controlled by the dentist, as it is with light-activated composites. Amalgam is a direct restorative material that is held in place by mechanical retention. Examples of mechanical retention include undercuts and grooves that are placed by the dentist in the cavity preparation with a hand piece and bur. Dental amalgam was developed in France in the 1800s. It was introduced to the United States in 1833, and the mercury toxicity controversy started immediately. This controversy divided U.S. dentists into pro-amalgam and anti-amalgam groups. 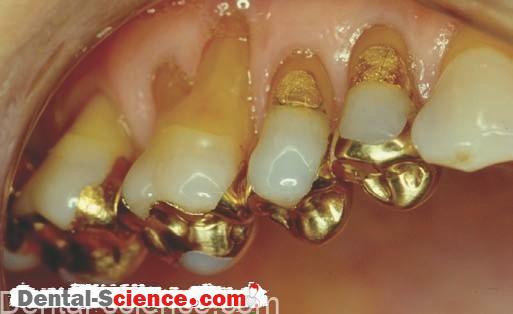 At that time, the only alternatives for direct restorative materials were direct gold and dental cements. Casting techniques could not produce satisfactory restorations. The composition of dental amalgam was improved greatly by the work of Flagg and Black. A “balanced” formulation resulted, in which the expansion effects of the silver in the alloy offset the contraction effects of the tin. In the 1920s, the National Bureau of Standards (now the National Institute of Standards and Technology) was asked by the U.S. government to develop a set of standard tests for dental amalgam. The standard was enthusiastically received by the field of dentistry and became Specification #1 of the American Dental Association (ADA). In the first half of the 20th century, most amalgam alloys followed the formula of G.V. Black because his composition was included in the specification. The first method used to produce dental amalgam particles is grinding an ingot of metal to produce fillings. Such amalgam alloys are called lathe-cut alloys, and an example is shown in Figure 6.6A. 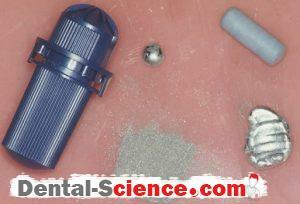 The second method used to produce dental amalgam particles is to spray molten metal into an inert atmosphere. The droplets cool as they fall, producing spherical alloys, as shown in Figure 6.6B. Some products are a combination of both lathecut and spherical particles, as shown in Figure 6.6C. These products are called admixed or blended alloys. react with liquid mercury. The result is dental amalgam. Around 1960, an amalgam alloy with a higher copper (Cu) content was developed. Increasing the copper content reduced the percentage of the weakest phase of the resulting dental amalgam. Clinical performance improved markedly. Today, numerous high-copper dental amalgams are on the market, and a variety of particle shapes and compositions are available. The copper content ranges from 10% to 30%. Low-copper amalgams are included in this article for historical perspective. and chemistry. Today, high-copper amalgams are the state of the art and dominate the market. The composition of a low-copper, “traditional” or “conventional” amalgam alloy is based on Black’s composition: approximately 65% silver, 25% tin, less than 6% copper, and sometimes, 1% zinc. Silver causes setting expansion and increases strength and corrosion resistance. Tin causes setting contraction and decreases strength and corrosion resistance. In low-copper amalgams, copper functions much the same as silver. If the zinc content is greater than 0.01%, the amalgam is called a zinc-containing amalgam. If the content is less, the amalgam is called a non-zinc amalgam. During manufacture, zinc reduces oxidation of the other metals in the alloy. For many years, the clinical effect of zinc was debated. Recently, clinical research has shown that zinc-containing dental amalgams have a longer clinical life expectancy than non-zinc amalgams. Many other elements, mostly metals, have been added to dental amalgam alloys in the range of a few percent. These metals include gold, palladium, indium, and even mercury. γ is the Greek letter gamma and is used to designate the Ag–Sn alloy, or gamma phase. γ1, or gamma-one, is used to designate the Ag–Hg phase. γ2, or gamma-two, is used to designate the Sn–Hg phase. When the liquid mercury is mixed with the amalgam alloy, the mercury is both absorbed by the alloy particles and dissolves the surface of the particles. Silver and tin continue to dissolve in the liquid mercury, which becomes saturated with silver and tin. New γ1 and γ2 phases begin to precipitate. These are new compounds, the result of the setting reaction. *Precipitation is a process in which a solid is formed from material dissolved in a liquid. Examples of precipitation include freezing water (ice is the precipitate), sugar that forms in old honey, and the curdling of milk (milk protein is the precipitate). Precipitation of the γ1 and γ2 phases continues until the mercury is consumed and a solid mass results. The setting reaction may take as long as 24 hours to complete, when strength reaches a maximum. The mercury/alloy ratio is the amount of mercury that is mixed with the amalgam alloy. The composition of the set dental amalgam depends on several factors. Using more mercury increases the mercury containing reaction products. Using less mercury decreases the mercury-containing reaction products. Proper trituration and condensation techniques can also reduce the mercury content of the set amalgam. Because the mercury-containing reaction products are weaker than the Ag–Sn starting material, minimizing mercury results in an improved restoration. The strength of the amalgam is increased, and marginal breakdown is reduced. Remember, as with other dental materials, the liquid mercury must wet all alloy particles and form a cohesive mass without voids. An inadequate mercury/alloy ratio results in voids and poor restorations. The γ (Ag–Sn) phase is typically the strongest and most corrosion-resistant phase. It is approximately one-quarter of the volume of a dental amalgam. The γ1 (Ag–Hg) phase is somewhat strong and corrosion resistant, but it is also brittle. The γ1 phase makes up approximately half of the amalgam and is the matrix phase that holds this multiphase material together. The γ2 (Sn–Hg) phase is the weakest and most corrosion prone. It makes up approximately one tenth of the material, but is the “weak link” in the structure. not include minor components, which affect the properties of each phase and of the resulting amalgam. The γ1 (Ag–Hg) phase usually contains some copper, tin,zinc, and other amalgam alloying elements. 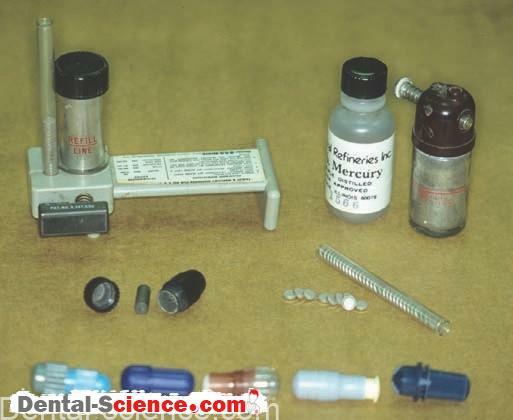 Starting in the 1960s, a variety of high-copper dental amalgams were developed. The clinical performance of many, but not all, of these amalgams is superior to that of the best low-copper amalgams. The significant factor that determined improved performance is elimination of the weak γ2 phase. Strength is increased, and corrosion and marginal breakdown are reduced. Currently, high-copper amalgams dominate the dental market. These high-copper amalgams contain lathe-cut particles with the same composition as those of the low-copper amalgam alloys, silver and tin. The other particles are spherical and contain 28% copper and 72% silver. This composition is called the Ag–Cu eutectic. The first high-copper amalgam was “Dispersalloy,” developed by Innes and Yondelis in Canada in 1963. It was originally sold to Johnson & Johnson, but the patent and trademark have since been sold several times to other dental materials companies. Several admix amalgams are available, but Dispersalloy maintains a significant market share. Single-composition, high-copper, spherical dental amalgams have only one shape of particle. The particles are a combination of silver, tin, copper, and other elements. The first single-composition spherical dental amalgam, “Tytin,” was developed by Kamal Asgar. Again, the trademark has been sold. Many spherical single-composition alloys are available, but Tytin remains very popular and has a significant market share. Dispersalloy and Tytin are good examples of dentists’ brand loyalty. The setting reaction of high-copper amalgams is a little more complex than in low-copper amalgams. The alloy contains 10% to 30% copper. Silver reacts in the same manner as a low copper amalgam, forming a γ1 (Ag–Hg) reaction product. Tin reacts with copper to form several Cu–Sn reaction products. No Sn–Hg reaction product is formed as occurs in the low-copper amalgam reaction. The microstructure of an admixed amalgam. Why So Many Different Amalgam Products? Why do so many kinds of amalgam exist? The answer is that each has different handling characteristics. The shape of the alloy particle affects the handling characteristics of the material. Lathe-cut particles are rough and do not slide past each other easily. Therefore, the resulting freshly triturated lathe-cut amalgam requires more force during condensation than is required with spherical particles. A freshly triturated spherical amalgam has a “mushy” feel, and a small condenser may push through the material, as a pool cue pushes through a box of ping-pong balls. It is easier to restore proximal contacts (Class II restorations) with a lathe-cut or admix amalgam than with a spherical amalgam. Restoring proximal contacts of teeth with a direct restorative material requires use of a matrix band to obtain the proper anatomical shape. The matrix band is positioned around the tooth. Along with the remaining tooth structure, it functions as a temporary wall to form the mold into which the restorative material is placed. When the freshly mixed amalgam is condensed against the matrix band, the band can be deformed if needed and pushed against the adjacent tooth. This creates the necessary contact point. The matrix band may rebound to its original position, however, unless the amalgam holds it in the deformed position. Lathe-cut and admix amalgams maintain this position against the adjacent tooth better than spherical amalgams. the surface of the particle. Of all solids, a sphere has the lowest ratio of surface area to volume. Therefore, spherical particles need less mercury to wet the particles, and less mercury means that the reaction is finished sooner, with a faster-setting amalgam as the result. of mercury-containing reaction products is reduced. Because mercury-containing phases are the weaker phases, reducing the amount of mercury increases the strength and other properties of the dental amalgam. Proper mixing and handling also affect the composition of the resulting dental amalgam. 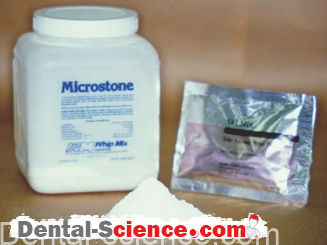 Proper mixing and condensation will keep porosity to a minimum. 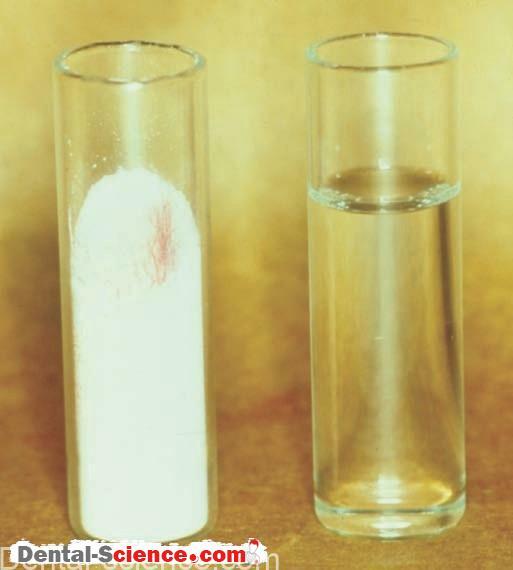 In addition, mercury can be “squeezed out” of the freshly triturated, non-spherical amalgams by using a proper condensation technique. The particles are forced together by condensation pressure, and the excess mercury is forced to the surface. Personal preference for the “feel” of amalgam when condensing and carving is a very important factor when selecting products for purchase. The silver content of an amalgam alloy affects the cost. Several alloys have as much as 30% copper. As the copper content increases, the silver content decreases, and so does the cost of the product. The cost of amalgam itself is a minor factor in the overall cost of an amalgam restoration. On the other hand, recycling amalgam scrap is both environmentally and economically beneficial. Both the manufacturer and the dentist control factors that affect the handling and performance of dental amalgam. The manufacturer also controls the rate of the setting reaction by heat treating the particle and by washing the surface of the particles with acid to remove surface oxides. Manufacturers supply amalgam alloy in several forms. Amalgam alloy can be purchased as a powder, as a powder pressed into tablets (looking much like a silver aspirin), and as pre-proportioned disposable capsules containing both the alloy powder and mercury. With current concerns for mercury hygiene and clinical infection control, pre-proportioned disposable capsules are considered the standard form in most practice settings. Mixing and handling by the dentist and the auxiliary personnel also affect the properties of the set amalgam. 1- The manufacturer controls the mercury content when pre-proportioned capsules are used, but other forms of alloy require the assistant to precisely control the amount of mercury that is mixed with the alloy. Excess mercury increases the mercury-containing reaction products, which tend to be the weaker phases. 2-Proper trituration technique is required. Both the speed and time of trituration are set to obtain the proper consistency of the mix. Over trituration and under-trituration also affect the working time and strength of the material. Over-triturated amalgam tends to crumble and is difficult to condense. It exhibits a shortened working time. In addition, voids will likely result in the restoration. Properly triturated amalgam is a cohesive mass that might be slightly warm to the touch. The surface is smooth, and the mass has a plastic feel. Such a mix is easily condensed and exhibits the proper working time. Under-triturated amalgam has a mushy grainy feel because not all of the particles are broken up. The mass is difficult to properly condense. 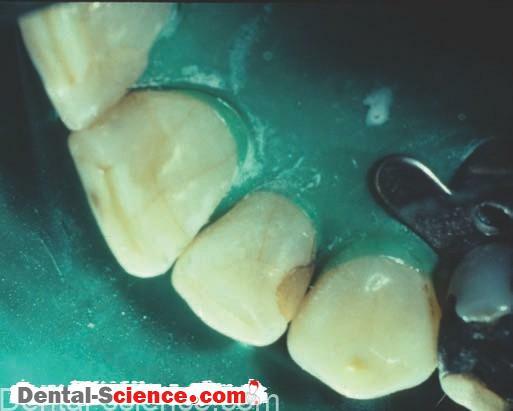 3- Proper condensation techniques reduce or eliminate voids, which are the worst component of the amalgam. Although amalgam is probably the only material that might work in a wet environment, it should be condensed in a clean, dry cavity preparation. 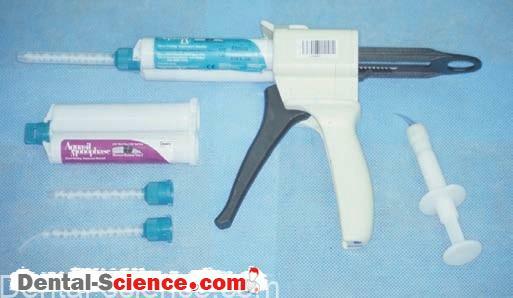 Contamination with saliva increases leakage of the restoration. 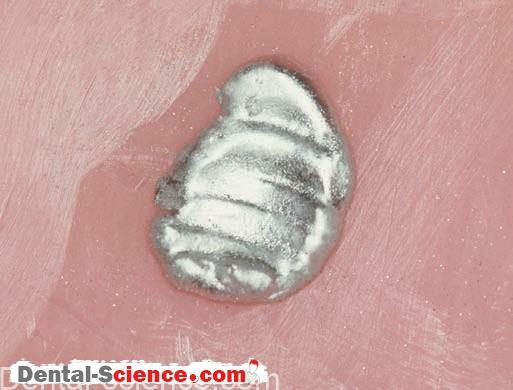 If zinc-containing amalgams are contaminated by moisture when they are condensed, they will expand excessively. 4- The dentist controls the anatomical form and finishing techniques. Open interproximal contacts, overhanging margins, and other improper contours increase the likelihood of periodontal problems. Poor condensation with defects at the margins increases the likelihood of recurrent decay. Finally, under carved occlusal surfaces cause trauma to the supporting tissues.